Applicable Area: Up to 400 sq. ft. True, Cleanable HEPA Filter for the most effective protection against dust & allergens, such as pollen, ragweed, mites and mold spores. HEPA filters are recommended by the Department of Homeland Security and U.S. Centers of Disease Control. HEPA filters are recommended by the Department of Homeland Security and the U.S. Centers of Disease Control. Germicidal UV Lamp to destroy micro-organisms such as germs, viruses, bacteria and fungi (such as mold toxins). Recommended by the U.S. Centers of Disease Control and the Air Institute of Respiratory Education. Also disinfects the micro-organisms that are trapped in the HEPA filter, which is why the CDC recommends using a germicidal UV lamp and HEPA air filter together. Activated Carbon Filter for chemicals, gases odors and cigarette smoke. The most absorbent filter material known to man. Recommended by the Centers of Disease Control, the Dept. of Health and Human Services and the National Institute of Occupational Safety and Health. Photocatalyst Oxidation Filter which effectively reduces chemicals, bacteria and odors. Found to be highly effective in tests commissioned by the U.S. Dept. of Energy. Cleanable Pre-Filter for larger particles, prolonging the life and enhancing the performance of the other filters. Pre-filters are recommended by the Dept. of Homeland Security. Low Replacement Costs. Even with 5 purification stages, the Multi-Tech 8400 replacement costs are quite low. The HEPA/Carbon combination filter will usually last about 12 months, and costs only $29 to replace. The long-lasting UV lamp will last about 3-and-a-half years before needing to be replaced, at a cost of only $19. 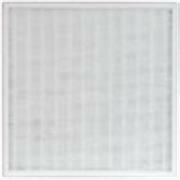 The photocatalytic filter does not require replacement. Large Coverage Area. Covers up to 400 square feet. Strong Air Flow (135 Cubic Feet per Minute - cfm). Increases air filtration capacity by maximizing the number of air exchanges every hour. Extremely Quiet Operation. Despite the power it packs, the fan runs smoothly and quietly. In "Auto" mode, it will automatically adjust to the quieter fan settings when the pollution level is low, producing the lowest amount of sound necessary. Low Energy Usage, using a mere 55 watts of power (on the high setting).